It’s time for Brag Monday #166! Once again I’m bragging about two more projects from the last Brag Monday party. 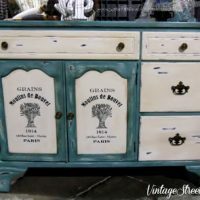 This weeks DIY pick is: This wonderful Wooden French Postcard Door Display created by Celestina Marie from Celestina Marie Designs! She used the Carte Postale Graphics from HERE and HERE. 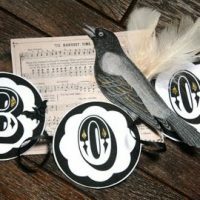 Be sure and check out her blog to see all the photos, this is a magnificent display and you won’t want to miss a single detail of it!! 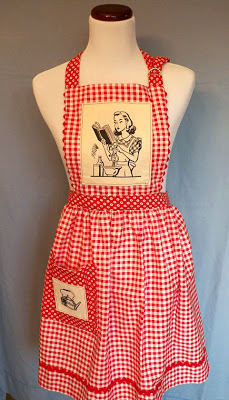 This weeks Handmade Craft pick is: This charming Retro 50’s Housewife Apron created by Cheryl from Cheryl Thimble Fingers! 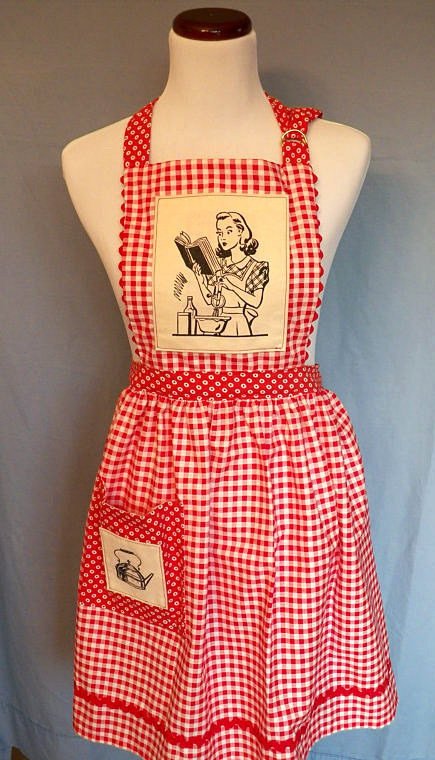 Cheryl used the Retro Housewife Graphic to create this adorable Apron. 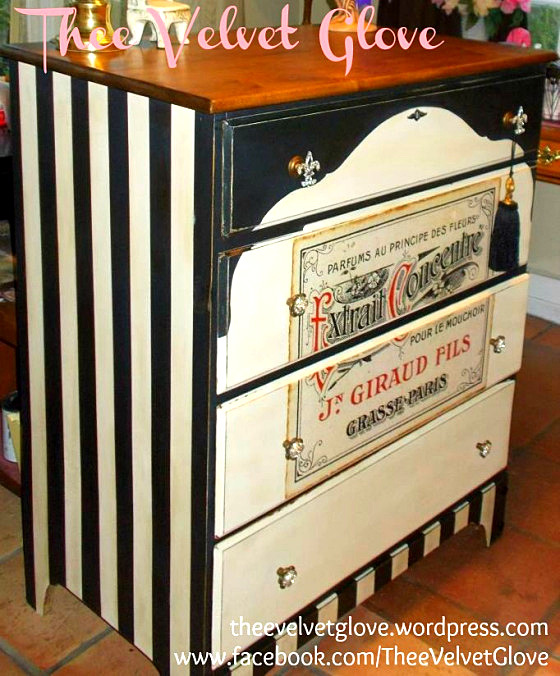 You can purchase this in Cheryl’s Etsy Shop, wouldn’t this make a great Christmas Gift?!! Love the apron, great pick …. Thanks so much for hosting!! 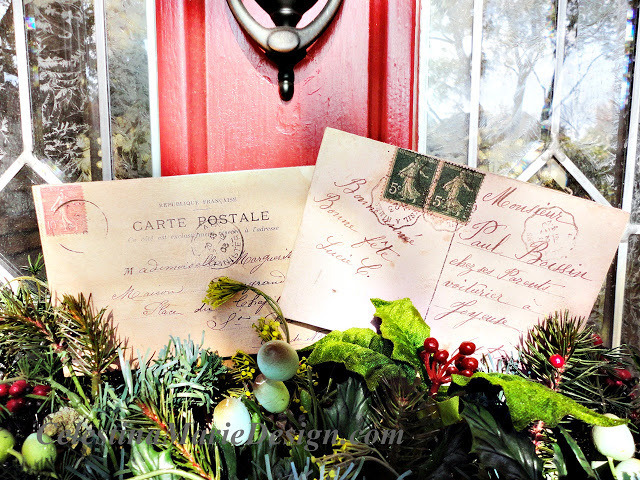 Hi Karen, Love the retro apron so darling and thank you for including my door decoration in your brag Monday. This was a fun project. Thank you also for hosting each week and for all the wonderful graphics you provide for our designing inspiration. Wishing you a wonderful Christmas and many blessings in the new year. You are very welcome Celestina Marie! Thanks for linking up such a pretty project! Merry Christmas to you too! Looks like an awesome party! 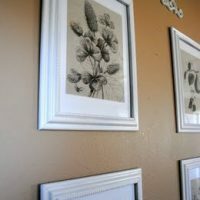 It’s my first time visiting, I didn’t realize you hosted! I love that vintage postcard display!! LOVE the Apron!!!! Such a nice way to use your graphics.